Anheuser-Busch, the maker of Budweiser beer, announced today that it had placed an order for 40 Tesla Semi trucks, even though the truck won’t enter production until 2019. It’s one of the largest reservations of Elon Musk’s new truck to date. Since it was unveiled last month, the Tesla Semi has racked up a fair number of preorders from several big-name players in shipping and logistics. The day after the announcement, Walmart said it had preordered 15 trucks, while JB Hunt Transport Services said it had reserved “multiple” new Tesla trucks as well. Trucking industry veterans are watching closely to see how Tesla addresses some of the big hurdles in its path, such as per-mile cost, gaps in EV charging infrastructure, and maintenance issues. 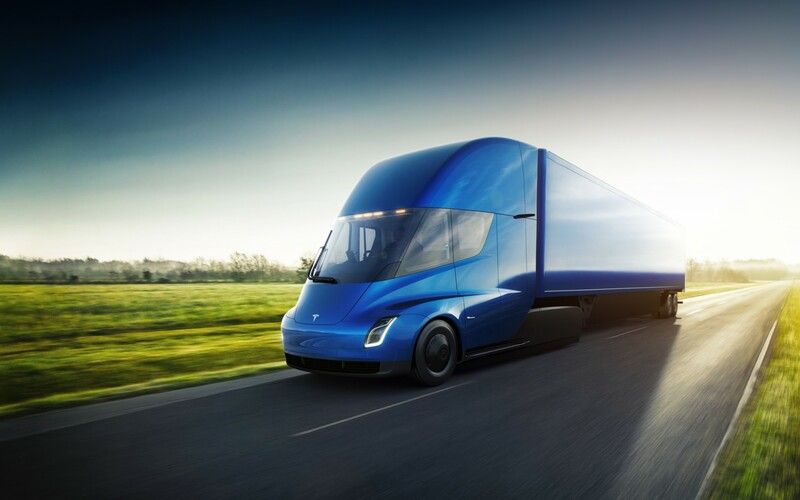 That strategy includes working with other tech-facing companies, such as Nikola Motors (“to develop and implement hydrogen-powered engines within our network”), Otto and Uber Freight (“to test autonomous driving technology”), and Convoy (“to access on-demand trucking capacity”). Last year, Anheuser-Busch was one of the first companies to use Uber’s self-driving trucks, for a shipment of beer in Colorado. Since then, Uber’s autonomous trucks have received updated technology, but haven’t made any more public demonstrations thanks to a lawsuit from Alphabet alleging stolen trade secrets. Update December 7th, 1:09PM ET: The deposit for reservations jumped from $5,000 to $20,000 right after the truck’s unveiling, a fact that was misstated in the original version of this article.